Dorah Maluleke is passionate about children, education and her community. 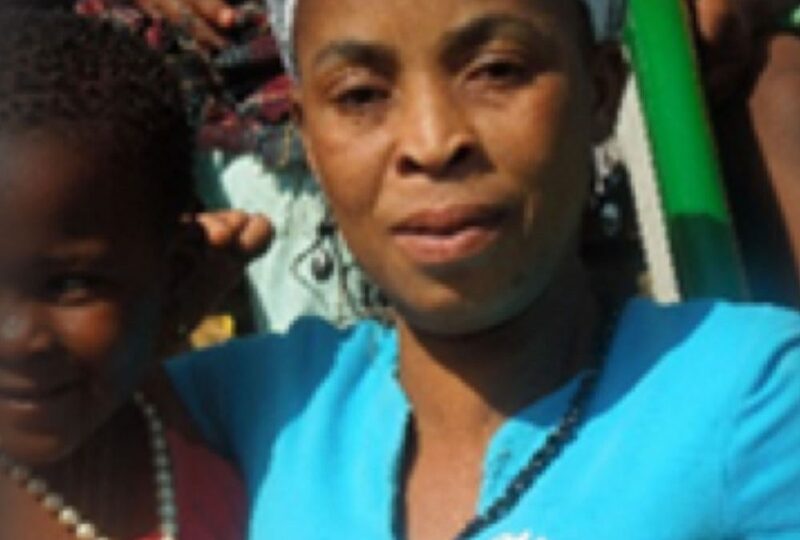 In September 2007, Dorah as a single mom, identified a need in the Rhenosterspruit community for a safe place in which children can be cared for whilst their parents worked. Dorah soon noticed that the young children lacked some basic school-readiness skills. She registered a “place of care”, known as “the Methodist Church crèche” at the small community church and started her little school. At the time, the local Methodist Church provided the premises at no charge and also provided a small living area for Dorah, at the back of the church. It was a difficult time for Dorah – although she was being charged rent, she relied solely on the financial contributions from parents to provide food and learning material to the children. She often had to buy food for the children from her personal budget. A few years ago, the Church was no longer formally active in the community and with a change in ownership of the property being negotiated, the future of Dorah’s school was in question. Hitting a low point, and with only a few irregular contributions from donors, members of the community, Mike and Kim Abraham, introduced Dorah to the Heron Bridge Outreach programme. Mike encouraged Dorah to persevere and not give up on her dream. Through the Heron Bridge’s Training and Resource Centre, Dorah completed her level 4 and level 5 accredited qualifications in Early Childhood Development and with the support of a mentor, she now runs a formal ECD centre, employing 2 junior teacher assistants and a few temporary helpers. On average, Teacher Dorah, (as she is affectionately known in the Community), makes a difference to the lives of 32 children aged 2 to 6 from the local community. Together with a few assistants, she hopes to continue to develop the young people of the area so that they can be fully prepared when they start their school career. The “graduates” from Dorah’s Early Childhood Development Centre are often ahead of their peers in Grade 1 at the local primary school. This is testament to the excellent foundation learning that Dorah provides to the children.